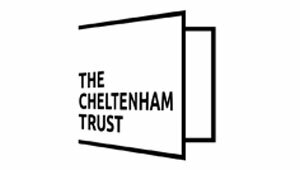 With a view to helping visitors and locals learn more about the town and explore it in a new way, The Cheltenham BID together with The Cheltenham Trust has developed and launched a new ‘Hidden Cheltenham’ trail around the Town. Working with local historians, enthusiasts and the people who were there, the trail uncovers some of the Cheltenham hidden histories that you might walk straight past. From the bronze markers by St Mary’s Minster which were used to measure fabric and rope, to the site where the last ever man in England was arrested for Blasphemy, there are lots of different stories to discover. As part of the trail development, free maps have been designed which are available to collect from The Tourist Information Centre, The BID Offices, and a selection of other locations, and there is also a comprehensive website with images, stories and histories, alongside an interactive map. The sites have been identified using large green markers on the ground next to each location, for visitors and locals alike to learn more.